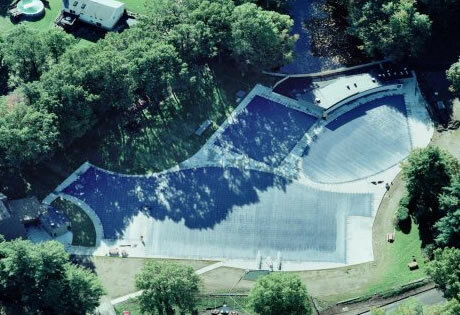 Commerical pool covers are specially designed for pools over 2100 feet². These larger covers use the same high-quality materials, anchors, and accessories as our standard pool covers, but there are a few differences. Commercial covers are only available in safety mesh because vinyl covers this size can collect huge amounts of water, causing stress to the material and prematurely failure. They also use a tighter 3'x3' straps spacing and a larger deck overlap of 18" or 24", depending on the shape and size of the pool cover. Finally, commercial covers do not include a storage bag, seen on the "what you get" page, due to their large size. In addition to their heavy-duty American-made construction, Ameri-Brand commercial pool covers are independently certified to meet or exceed ASTM Standards required by many states, counties, and municipalities. This is especially important for commercial pools requiring official inspeciton. Failure to meet code because your new cover does not have an ASTM label attached or proper certification paperwork can be a very costly mistake (IT HAS HAPPENED BEFORE). In addition, some insurance companies offer a discount for pools that are properly covered with ASTM rated covers. Ameri-Brand also offers Commercial Pool Domes as a great alternative to the traditional pool cover. These larger air-domes can encompass areas up to 7000 square feet, creating a climate controlled environment for year round swimming. Used by YMCA pools, Municipal Pools, KOA Campground Pools, Hotel Pools, and large private pools around the country. If you're searching for discount sale prices on Safety Mesh & Solid Vinyl Pool Covers and want the best online bargain pricing use the green "Get Prices" link on the upper right hand corner of this page. We invite you to compare the quality, value, and warranty of our merchandise. We offer coupon-less sales that help you shop and get what you need at a low cost. We're proud to be a favorite stop for Do it yourself DIY enthusiasts and professional dealers alike. Looking for Safety Mesh & Solid Vinyl Pool Cover replacement parts, accessories, or instructions and guides on how to repair or fix a used or older item, or on how to make a brand new item, our web pages can provide the latest top quality information and relevant product education. Try our free online care and maintenance guide pages to learn about cleaning, storing, and other related procedures to get the most from your purchase. 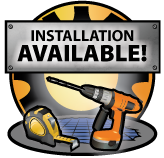 Need an installation manual on one of our products? Our online pages provide step by step details that can help you install them. Many of them include pictures, images, and diagrams showing how to get the optimum service from the products and kits you buy from us. If you desire more information on Safety Mesh & Solid Vinyl Pool Covers, please call the toll-free number above. Ameri-Brand Products Inc, providing Safety Mesh & Solid Vinyl Pool Covers for the areas & communities of New York, Los Angeles, Chicago, Houston, Philadelphia, Phoenix, San Diego, San Antonio, Dallas, San Jose, Detroit, Indianapolis, Jacksonville, San Francisco, Columbus, Austin, Memphis, Baltimore, Fort Worth, Charlotte, El Paso, Milwaukee, Seattle, Boston, Denver, Louisville, Washington DC, Nashville, Las Vegas, Portland, Oklahoma City, Tucson, Albuquerque, Long Beach, New Orleans, Cleveland, Fresno, Sacramento, Kansas City, Virginia Beach, Mesa, Atlanta, Omaha, Oakland, Tulsa, Miami, Honolulu, Minneapolis, Colorado Springs and Arlington with quality Safety Mesh & Solid Vinyl Pool Covers.